Let’s be honest, guitar music does not matter anymore. Guitar bands are irrelevant. 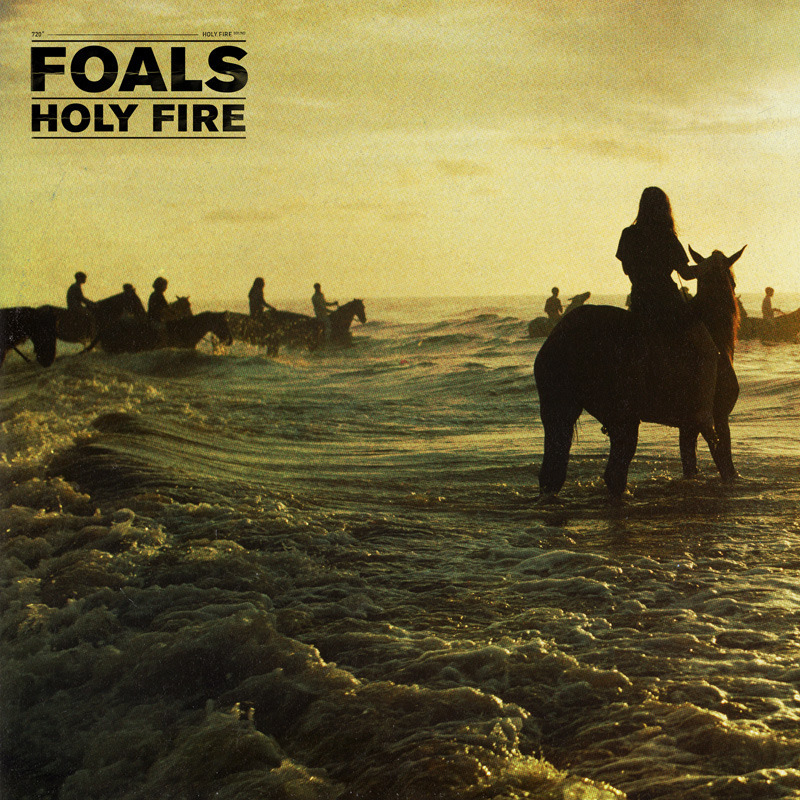 For a long time the most important, innovative and compelling work has been done by groups who eschew the six strings for the computer keys, so how is it that Foals, undoubtedly profiteers of the noughties indie -boom, have made without doubt the best album of the year. One word: progress. And not just progress for progress’ sake, they have made an album with big tunes that sounds fresh, harks to the past as well as staring the future unflinchingly in the eye. An album with songs on the radio as well as deep cuts that are truly fulfilling listens. Following on from their equally as progressive second album Total Life Forever, Foals have continued to throw off their pseudo-math-rock chains, obscuring their previously bouncy indie by numbers tunes for more textured and full sounds, songs that are not afraid to embrace earworm melodies and traditional pop structures. We all know how effortlessly catchy ‘My Number’ is and no one can deny the chemical reaction that occurs during the drop in ‘Inhaler’, but equally as good are album tracks such as the slow burner ‘Milk and Black Spiders’ and underrated single ‘Out of the Woods’. Cynics would counter this thesis by declaring that Holy Fire, whilst progressive, is still not as progressive as some of their contemporaries, like fellow Mercury award nominee and eventual winner James Blake, but really this is a tired concept in an age where everything has been done before. Everything. So what if Foals sound like their pushing towards being a stadium rock band, on the most pretentious of Pitchfork browsers would claim that writing songs meant to lift a few tens of thousands of people off the floor is a bad thing. The simple rule that music should follow, be good. And Holy Fire, from top to bottom is the goodest. I loved Lou Reed. It is hard to describe just how important a figure he was in the world of music. Both work and his character were equally as polemical, oftentimes abrasively unlikeable, but always unrelentingly relevant and his death on October 27th came as, not a shock, but an intense and profound bummer. As a member of the pioneering art-rock band The Velvet Underground, Lou Reed and his cohorts John Cale, Sterling Morrison and Mo Tucker that created music so vastly different from their 60s contemporaries that they were largely overlooked, despite being championed by that bastion of post-modern art Andy Warhol, with their debut album only selling 30,000 copies. However their influence sustained their identity in the music world, with Roxy Music’s Brian Eno famously stating that everyone who had bought a copy of the Bands Self-titled first album went on to start a band. And it is hard not to see the impact they had, singlehandedly laying the foundations for Punk, glam rock, nineties alternative and even early 2000’s indie. Without the Velvet underground there would be no Iggy and the stooges, no Sonic Youth, no Pixies, no Strokes and David Bowie would have been a whole lot more monotone. 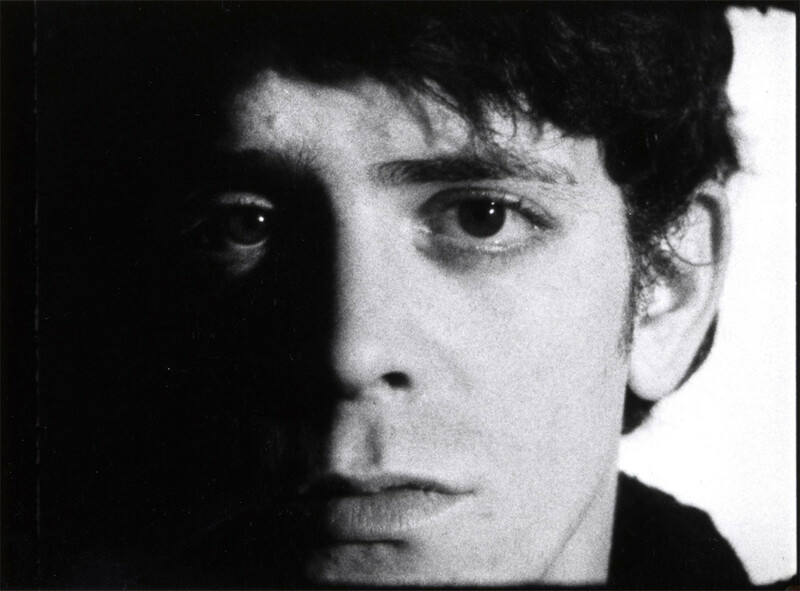 After leaving the Velvet Underground Reed embarked on a solo career, recordings such classic albums as Transformer and Berlin, cementing his status in the Annals of Rock and Roll history. Not content to wallow in his success however, he continued to push the envelope, leading to such ill-advised releases as Metal Machine Music, an LP comprised solely of guitar feedback which polarised critics and fans alike. However this challenge to what an album can be highlights his ability to get up the noses of even the most open-minded of music listeners, no less highlighted on his last artistic endeavour, the collaborative Lulu recorded with Metallica. 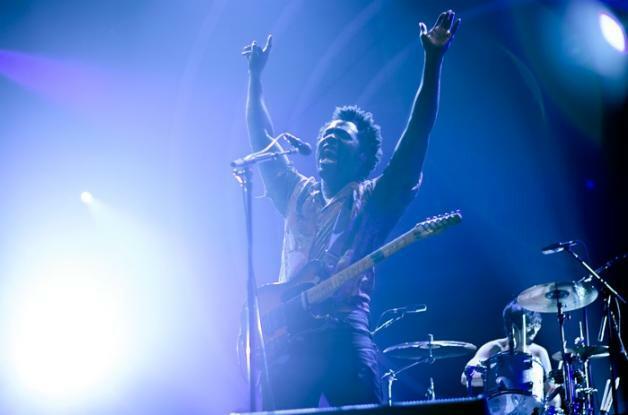 However that records final song, ‘Junior Dad’ is surprisingly affecting and serves as testament to his ability to write songs that ultimately resonated. Testament to his longevity surely can be recognised through A Tribe Called Quest’s sampling of his most well-known songs Walk On The Wild Side, a classic composition of one genre influencing an equally as classic song in another. Everything is Pusha T, Everything is Pusha T.
Everything is Pusha T, Everything is Pusha T; Everything is Pusha T.
Everything + Is = Pusha T.
He’s speaking the words of revolution! Jeremy Paxman’s beard looks unimpressed. Jeremy Paxman’s beard, stiff and bristly. Jeremy Paxman’s beard, stiff, unmoving and unimpressed. Not like the comedian Russell Brand’s beard. A beard of the people. Bet Paxman’s beard went to private school. ‘What a circus’ I exhale, lifting the weary remote. ‘Time for bed’ I tell myself. You know you’ve made it in the music industry when your name has become an adjective. Pitchfork.com upon reviewing Canadian rapper Drake’s third LPNothing Was The Same called the album his ‘Drakiest’, a description that makes sense once you hear the album a view times weigh it up against his previous two efforts. The emotional bars are still there, the flawless production,everything element from Thank Me Later and Take Care remains and you feel in familiar company as the album progresses. NWTS is standard Drake fair but on a higher level, more concentrated, more focused and the question is, how does Drake maintain such a high level three albums in? 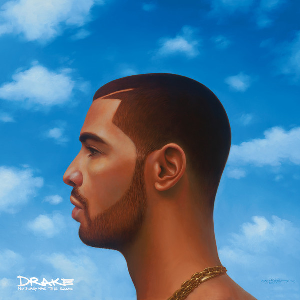 The two best songs on the album, Started From The Bottom and Hold On We’re Going Home can arguably be put forward as his two best songs and the album still sounds strong with the exclusion of 5 AM In Toronto and Girls Love Beyonce, released online before the launch of the album. The album doesn’t even need a guest spot from Kendrick Lamar and still sounds good, how can this be? The time must have come where it can be affirmed that Drake has reached Kanye levels of consistency. The biggest difference with the album is the relatively down-tempo feel that persists through the majority of the album, 2 chains it is not, which provides the perfect bed for his poignant and confessional lyrics and showcased best on the song Too Much, featuring a sample from up and coming London producer Sampha. Post-Kendrick Lamar the album definitely seems to have bite to the lyrics, bars such as “You know it’s real when you are who you think you are” on Pound Cake/ Paris Morton Music II where Drake brings his A-game in order to spar with everyone’s favourite old guy Jay Z, but if lyric was used to summarize the feeling of the Album it would definitely have to be ‘Hot Love and Emotion… Endlessly’. The world was exposed to the first real blockbuster hip-hop album on June 18 when Kanye West, sans a high profile promotion drive, released his sixth studio album ‘Yeezus’, letting the controversy surrounding the title and lack of conventional album artwork as well as the mythologizing quotes by collaborators including Daft Punk on the experimental nature of the album’s content garner the bulk of the buzz around its release. Taking an entirely different tack a month later was Jay Z, striking up a lucrative partnership with Samsung to release his twelfth album, Magna Carta Holy Grail, for free to one million Galaxy smart phone users. Comparable to their respective marketing ploys, it is easy to paint a picture of the albums as polar opposites. On Yeezus, West has eschewed his penchant for r’n’b inflected, maximalist production, hinting at it on tracks like ‘Bound 2’, for a more dissonant, minimalist aesthetic, making the album sound like the rapper’s 2008 LP ‘808s and Heartbreak’ on a scary amount of acid. 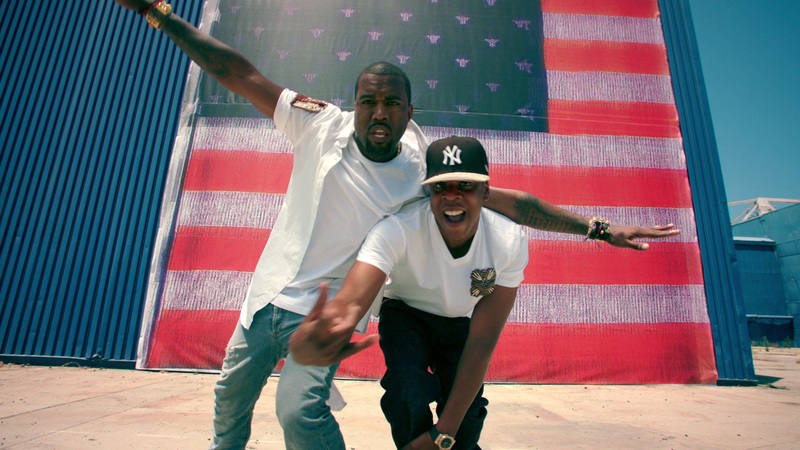 The production of Magna Carta on the other hand is very much in the mould of the last few Jay Z albums, the New York rapper choosing to work with long time collaborators Timbaland, Pharrell and Swizz Beats. As a result the songs on Magna Carta sound like Jay Z songs, they are evidently trying to reach the imperial heights of ‘Banger’ status. Lyric-wise it’s the same story, whilst Jay Z continues to celebrate the merits of materialism in ‘Tom Ford’ and questioning the role of religion in his life in ‘Heaven’, Kanye is more abrasive in his themes, exploring the relationship between capitalism and the African American’s place in society in ‘New Slaves’ and boldly affirming ‘I AM GOD’ in the song of the same name. So which album ruled the summer? In terms of instant gratification, Magna Carta would seem like the obvious candidate, however for an album that would resonate further down the line, perhaps in the autumn, winter, or maybe even next summer Yeezus feels stronger. So, final answer, the ruler of the summer… Definitely Kendrick Lamar’s verse on Big Sean’s ‘Control’.